So we were featured with SanctuaryRPG in the June edition of PCGamer around the world! Just to prove my point. Drac's Quest OST is out! From the upcoming Drac's Quest comes one of the OSTs I've had the most fun writing in my life! Huge shoutout to artist Lord Gervals for this incredible cover art! Comes with an absolutely gorgeous cover art and is representative of the late konamigothic style of the Teresopolitan School. Seriously—give it a listen, and a play-through when it comes out! sRPG: The Original Soundtrack is out! Just released the soundtrack for the brilliant SanctuaryRPG. Historic moment! Needless to say, I'm incredibly happy with this work. The full version of the game (with my music) will be out for the community in a week, and in the wild sometime in March. GhastyGhasto is out for Christmas! 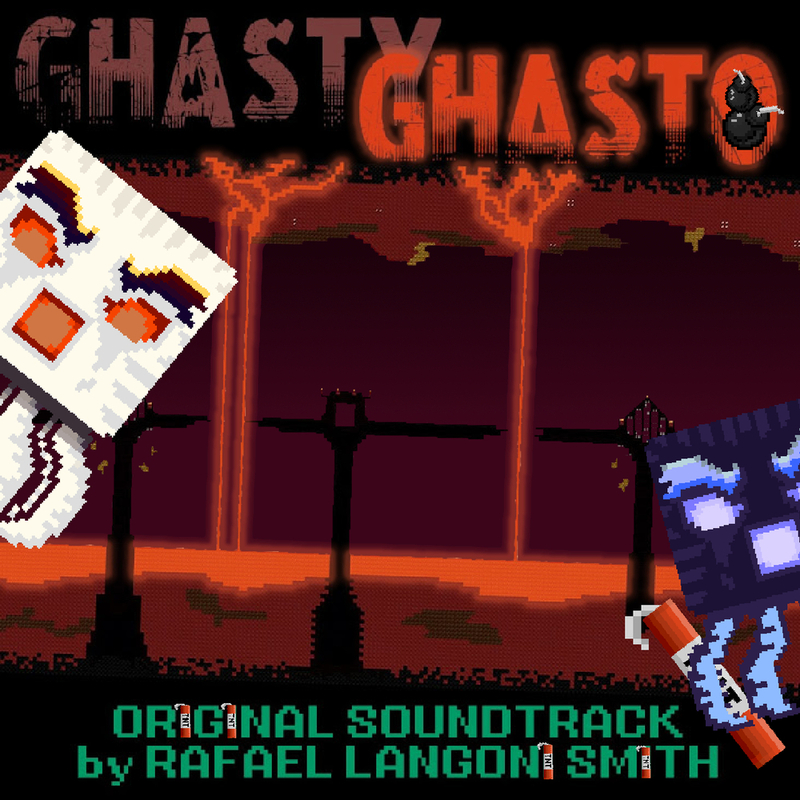 For the first of two Christmas releases, this is the soundtrack to (takes deep breath) Ghasty and Ghasto in "The Enchanted Troll", A-Nether Minecraft Story by my awesome buddies from ZombieChickenTaco. I had loads of fun working on this music as you can probably tell from listening to the OST in this link! The game itself is coming live soon! Recently I put my first soundtrack up for sale on Bandcamp—the music from Hazardous Attack, a shooter for Windows with great graphics and a really massive soundtrack I wrote in 2011. Can't wait to get all my other games up there! Novela soundtrack records are out! And they are both on iTunes! Here's Amor à Vida by Iuri Cunha and Sangue Bom by Victor Pozas. You can listen to a good chunk of the CD with these links! The quality is top-notch; we recorded some of the finest musicians in Rio de Janeiro. I thank my mentors João Paulo Mendonça (musical producer for Malhação), Victor Pozas (musical producer for Sangue Bom) and Iuri Cunha (musical producer for Amor à Vida) for the frequent opportunities to take part on endeavors like these! Writing for UDI Cello Ensemble!